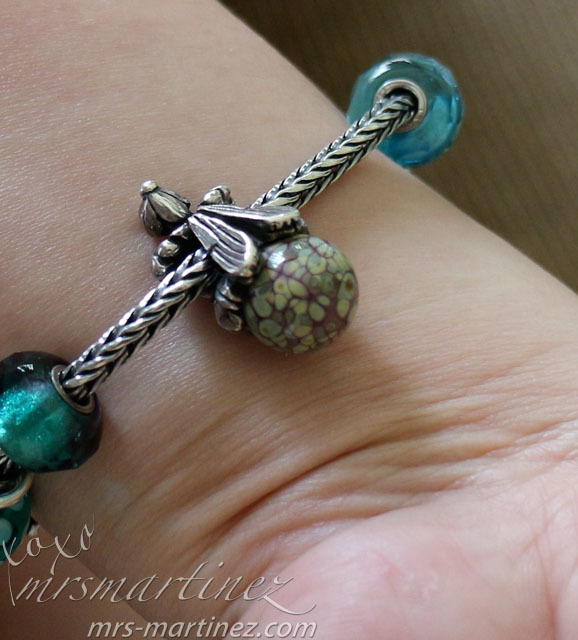 I was supposed to buy Trollbeads Autumn (61720) because the color blended well with my collection. 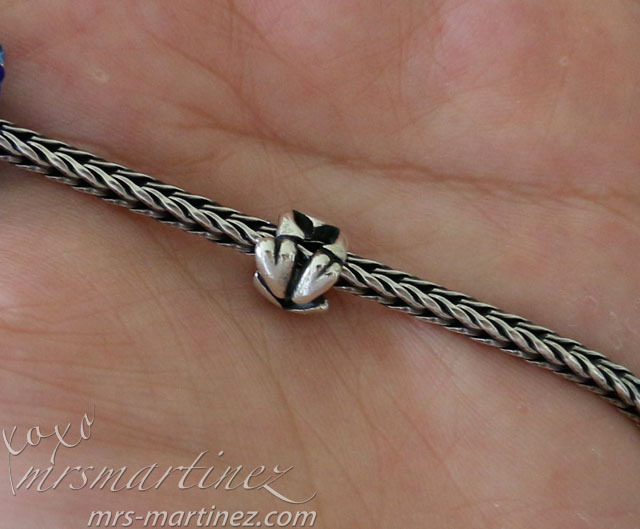 But upon seeing a huge gap from one side of the sterling silver, I changed my mind and got the Fairy (shown in the photo above) instead. 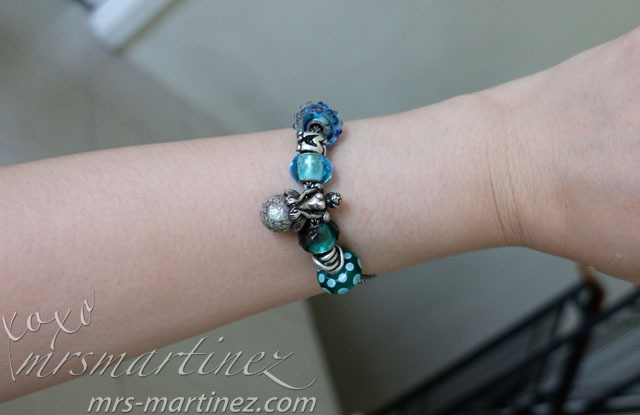 It was a wise decision because the Fairy is bigger therefore more prominent when worn. 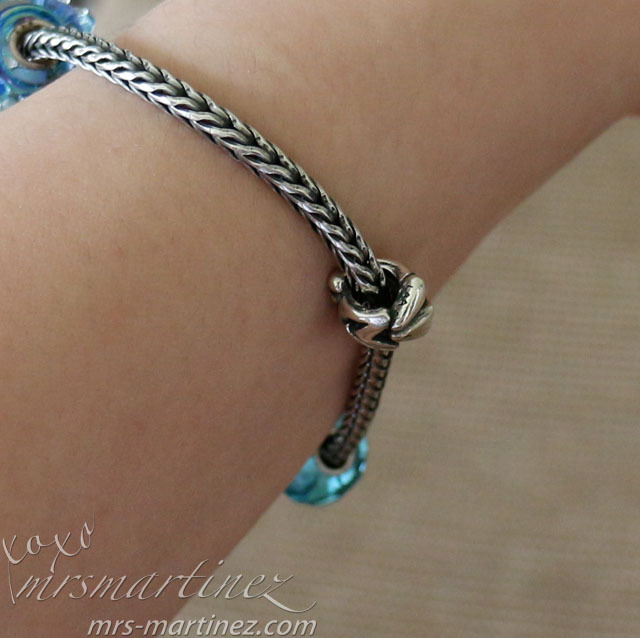 I find it difficult to spot the sterling silver symbol (925) and LAA inscription on the bead. 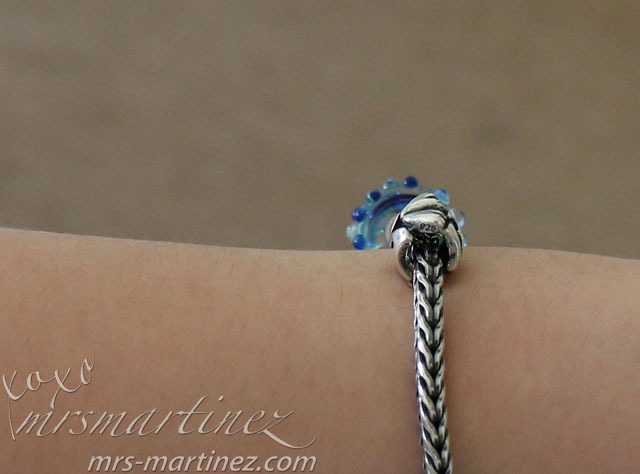 But after scrutinizing the bead, I found it located at the end of the fairy's wing! 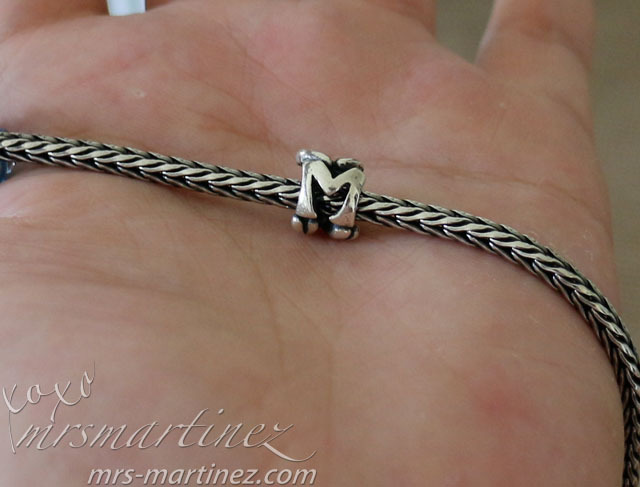 Letter Bead M represents my name and the last name of my DH. It's a no-brainer to I add this letter to my collection. Only a couple more beads and I am done! Who am I kidding?! 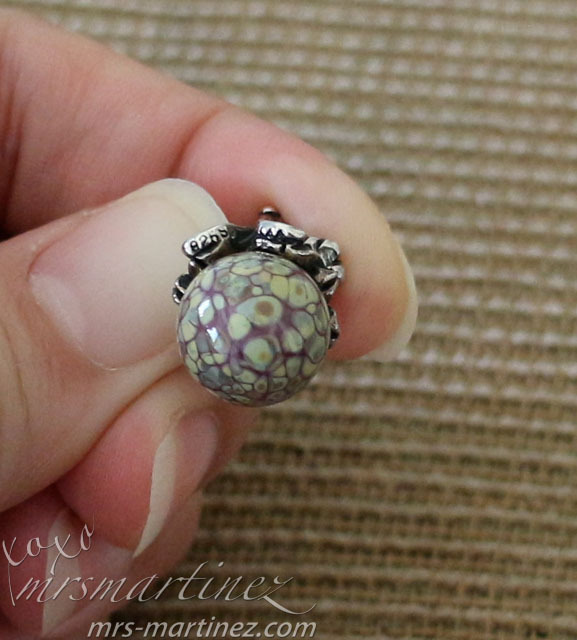 To know how to spot an authentic Trollbeads, read my entry here. 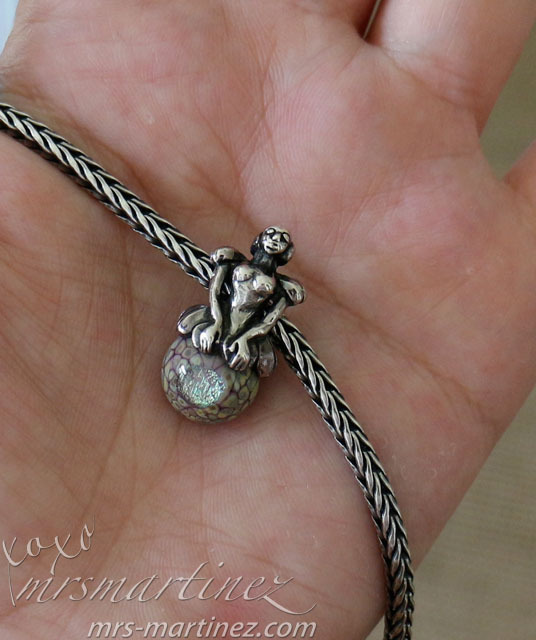 Every story has a bead, read my story here. 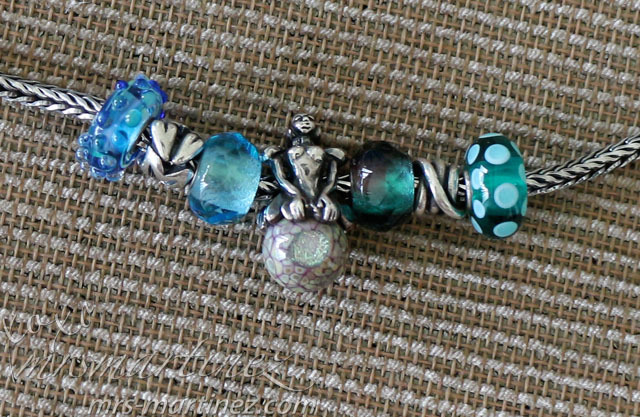 You can view about the rest of my Trollbeads here.